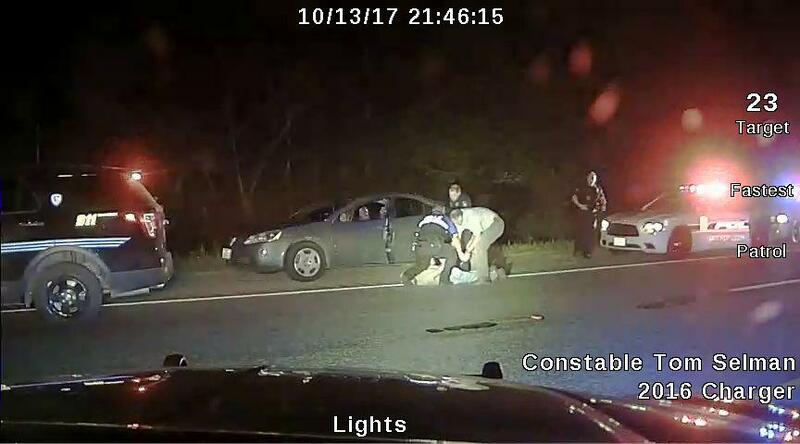 Corrigan PD Halts Chase, Helps Angelina County, ANGELINA COUNTY, October 14, 2017 - A gray 2008 Pontiac G6 was stolen Friday night about 9:30pm at the Murphy USA gas station in front of Wal-Mart in Lufkin. Owner of the Pontiac was fueling and left the vehicle unattended at the gas pump while going over to the store to purchase a soft drink. A white male jumped in the vehicle and sped away from the Wal-Mart parking lot. The owner contacted Lufkin Police who informed other law enforcement agencies of the theft. A few minutes later, the Pontiac was spotted by Diboll PD officers passing through their city. Officers Eli Lenderman and Bart Riley attempted to stop the vehicle but driver refused to stop. Corrigan PD was notified and a chase ensued from Diboll into Polk County to the Piney Creek bridge on US 59 north of Corrigan where officers from the Corrigan Police Department were waiting with Stinger spike strips. One tire of the Pontiac deflated after hitting the spikes. The stolen vehicle then made a U-turn headed back north on 59. Moments later when the vehicle came to a stop, Corrigan officers, the Diboll officers and constable arrested Barry James Elverd, 30, of Porter without incident. Lufkin PD officers David Casper and Hunter Smith arrived a short time later and transported Elverd back to the Angelina County Jail. Elverd was found to be wanted out of Montgomery County on a Criminal Trespass warrant. Elverd is charged with Unauthorized Use of Motor Vehicle and Evading Arrest, both felonies. DPS Troopers and Polk County Game Wardens also responded and assisted at the scene. A Corrigan PD officer, constable Tom Selman and Diboll PD Officers Eli Lenderman and Bart Riley take Barry James Elverd, W/M, 30 YOA of Porter, Tx into custody after stolen car chase to Polk County.